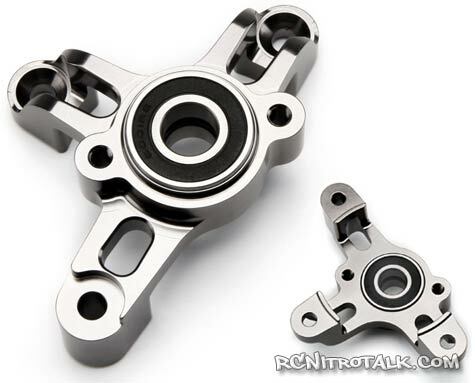 While companies like RAMTech-RC has already been making aluminum pinion/clutch mounts for the HPI Baja 5B and Baja SS, HPI has now added their own version of an aluminum baja pinion and clutch mount. The new HPI 5B aluminum pinion/clutch mount is a replacement part for the stock nylon mount which tends to warp and wear out causing binding and improper gear mesh. The HPI aluminum mount is made of heavy duty aluminum which provides better support and durability and longer gear life. The HPI aluminum pinion and clutch mount comes with two rubber sealed ball bearings that have a larger outside diameter for longer life and efficiency.